This blog discusses the use of ‘Polarised Training’ in distance running training and is part 2 of a 2 part series. This method of training essentially tells us to train hard or to train easy and that anything in between is a waste. This message can teach us some lessons including: The importance of recovery after hard training; The benefit of doing enough easy runs; The need to train in a specific way. However there are also some flaws in this popular training method which are essential that we understand. When the proponents of polarised training are in the media, they stress that – according to them – elite athletes don’t train at a moderate pace. They claim that elite athletes hardly ever train at their threshold, but almost always harder. So lots of amateur runners now follow the same principle. Subsequently they do not train at the threshold (what many coaches will call ‘Tempo Running’ and instead do only easy runs plus workouts at (much) faster than threshold . This claim regarding the training of elite runners is totally false and the idea is wrong. Let me explain. Other data in the same document shows, that during parts of the year, especially when far away from any important competition, some elite athletes run substantially more in zone 3. We also see that some elite athletes did a whole lot in zone 2 and 3 when they were younger, but now that they are over 30 years old, they focus more on zone 4 and zone 5. This is in line with how Kenyan runners train. To paraphrase famous coach Renato Canova; Kenyans build their aerobic house at a young age, by running to school and when taking care of the cattle (or when hunting or just through a generally active childhood). Much of this involves running at a moderate pace; not so fast and not so easy. So by the time they start structured training (the point they would say themselves ‘I started running at age X’ they have already performed miles of Moderate Training. The same moderate training which the 80/20 method claims is a waste of time. The moderate training has developed their aerobic foundation and as a result they are ready, and their bodies can handle more specific training. That is the key benefit of these moderate sessions – they prepare you to handle the more specific and high intensity work which follows. So should everyone now start to include lots of moderate running? It is shame, in my opinion that they push this media friendly idea when their own data doesn’t match up to that. Because the true message from the data could be really helpful. In practice, at least in my experience with elite athletes, there are no zones that are un-used and the zones themselves are not strictly defined. Some zones are used more in certain periods of the year (or in certain years during a career). After zone 1, the most used zone is zone 2. Most top athletes would describe that as a moderate pace. For them, it is around 5-10% slower than marathon pace. Also this does not really rhyme with the attractive 80-20 idea, so it’s not mentioned. But zone 2 is moderate, going above 65% heart rate is not that easy. 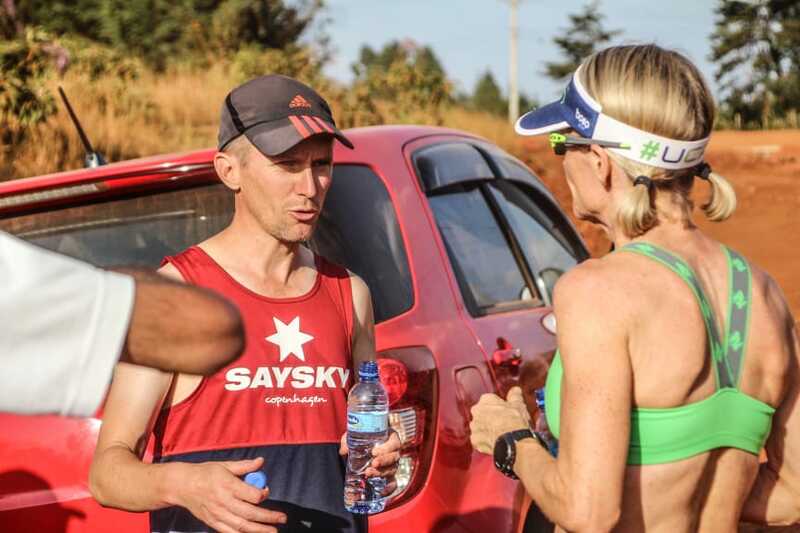 Amongst Kenyan runners we see lots of examples of moderate running being used, again going against the grain of the popular ‘Go hard or Go Easy’ message. 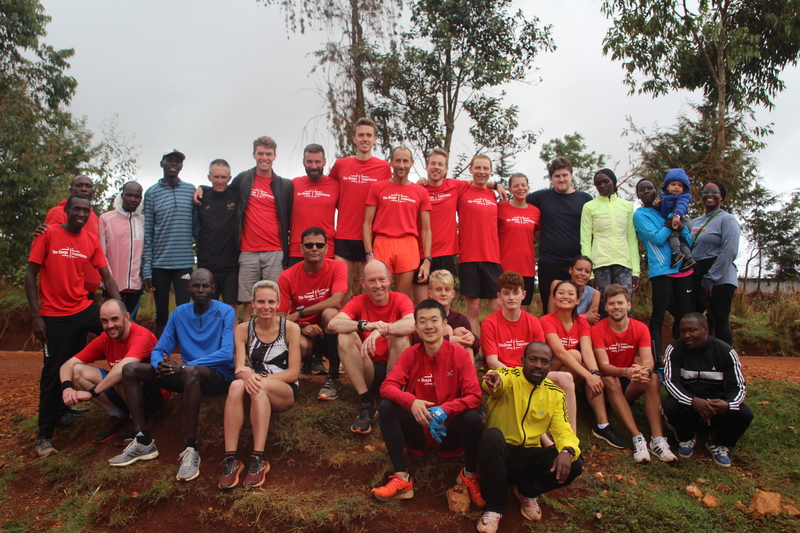 Kenyan runners use a long run most weeks in training. This long run is not really fast but also not really easy (IE it’s moderate!) If I have to make an (informed) guess, I would say most of them run almost the entire long run in heart rate zones 2 and 3, with only the last 10% of the run in zone 4. So again; mostly moderate. In general, elite endurance athletes train more in zone 4, compared to zone 3 or zone 5. This is in fact, in line with what polarised training prescribes: you should train in zone 4, or faster than your threshold! However, they are wrong about one essential thing; Zone 4 for most elite athletes is NOT faster than threshold but rather consistent with the threshold. According to scientific information, we run at threshold when we run at around 85% of our HR max (see the table). But guess what? Top athletes are different. I know and have worked with lots of top athletes. Almost without exception, they run a half marathon from start to finish with a HR that is between 90-93% of their maximum. So when they run in zone 4, they run at their threshold! This all shows the truth is slightly different from what we are lead to believe and something as “80/20” prescription of effort for Easy/Hard is far too simplistic. There is more to it than running easy 80% of the time (zone1) and faster than Threshold 20% (Zone 4 for most non elite runners). – train more in zone 4 and 5 as they come closer to their important race, and then minimise running in zone 3 and 2. So coming closer to race day, the training gets much more polarised. The hard sessions go harder (race pace or faster) and the easy runs go easier. But can you just copy what the elites do? No! If your goal/dream is to become a top athlete, don’t just look at how elites train when they are at their peak, but rather how they trained when they were young. That is the more relevant information to your own situation. They have spent a decade or more preparing their body and mind for hard training. Whatever they did when they were young, gave them that foundation, that base. You can’t go and copy what a top athlete does unless you have that same base. That would be like trying to eat the icing then realising that there is no cake! Titles should be as short as possible, as short titles are a vast amount of more exterminator dallas. You’re working along with a small subset of users. There are many approaches to discern the value of your coins.